I’m involved in a collection of short stories to be published in early November to mark the 75th anniversary of the Battle of Pearl Harbor, which took place on 7th December 1941. The devastating surprise attack by Japanese fighter planes on the U.S. naval base in Hawaii led to America’s entry into World War II. This wide-ranging collection of eight stories is written by a diverse group of authors, who write wartime fiction. Few people’s lives were unaffected in some way by that fateful day in December 1941 and these stories reflect this. Some of the stories are set at Pearl Harbor itself, in other parts of the United States and in Singapore. Others take place in Europe: occupied France, Germany and Northern Ireland. They explore the experiences of U.S. servicemen and women, a German Jew, Japanese Americans, a French countess, an Ulster Home Guard, and many others. My own story, “The List”, is set in Occupied France. It is loosely based on a true story about German reprisals following the assassination of a high-ranking Wehrmacht officer. Look out for more publication details and tasters as launch day approaches. 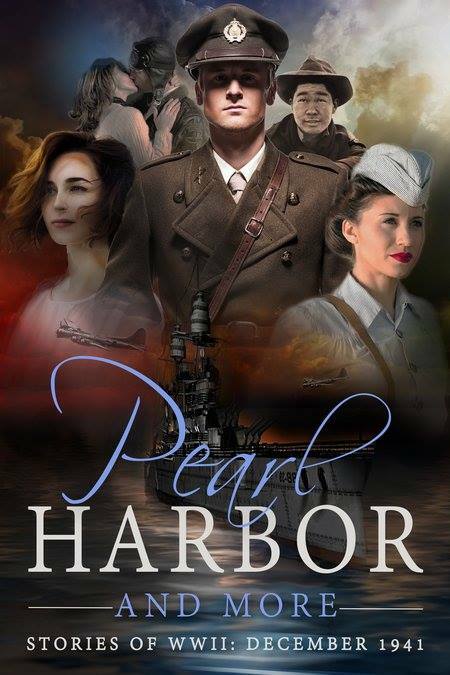 This entry was posted in Historical Fiction, Short stories and tagged anthology, Occupied France, Pearl Harbor, Pearl Harbor and More, Pearl Harbor anniversary, short stories, World War II by nessafrance. Bookmark the permalink. Sounds really interesting Vanessa. An excellent project to be invoved in. It has been an interesting experience, since we are self-publishing it. Fortunately, I am not involved in any of the technical stuff and we have contributors who can handle that. We’re pleased with the cover, which reflects the diversity of the stories. And it’s given me an idea for a novel.